- Emmet: If you needed a weapon, then you need it! Call him and he will appoint you a meeting and gladly sell you weapons. The list of weapons: Colt, tec9, AK47, Molotov and grenade. Note: You can use this service only in Los Santos. - Sweet: If you need help, then you need it! Call him and he will send you the armed members of your gang. Note: You can use this service only in Los Santos. - Toreno: Call him and he will arrange with the cops and they will not bother you anymore. Note: This service can be used everywhere. - Cesar: If you need a car, then you need it! Call him he will give you a car to choose from. Note: This service you can only use in San Fierro. - Woozie: If you needed help and your gang can not help you, then you need it! Call him and he will send you the armed fighters on the helicopter. Note: This service you can use in San Fierro and Las Ventus. - 911: If there is a firefight, a fire or a wounded person, then you need this service. Call him and you have to choose who you need (Police, firefighters or paramedics). Soon after the call of the required service they will arrive to you and will fulfill their duty! - 8-Ball: Call him and soon a person will come to you and give you a car with explosives. Press "B" (in the car) and run away (timer 10 sec.). - Taxi: If you need to get there urgently from one point to another, then you need this service. Call it and soon a taxi will come to you and take you to any point on the map. P. S. When testing the script bugs and crashes it was not noticed! All the "challenges" are accompanied by interesting dialogues! So download, enjoy and do not forget to leave comments! Skin from COD MW 2 Secret Service. Police Repair Service - Repair of police transport. Retexture fashion "GTA V phone style"
Кстати как бонус я добавил модель телефона(она в архиве)!!! For some reason, I can not download. Very good mod, sorry I just found out about it right now, 5 years ago I would need it. Author plus. Just like in GTA IV. Almost. Convenient, useful, and just a good mod! 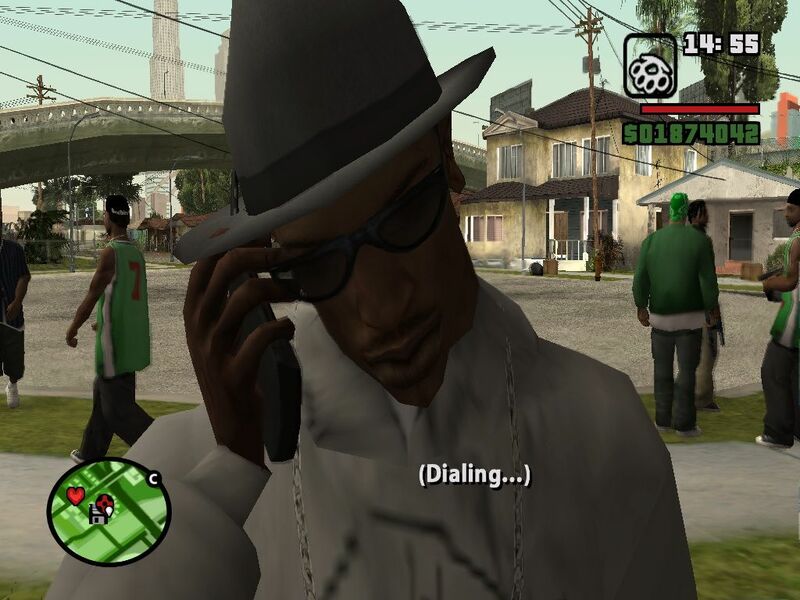 Like and the feature is new, as in the same GTA5, but also in the style of the good old GTA SA. in what sense is not it fair? This is realistic. Why do the pedes just disappear after fulfilling their script?)) Type Caesar brought the car and disappeared - it's not realistic)) Could it be done that he at least would leave like all pedestrians? Судя по описанию очень крутой мод, сразу поставлю плюс и пойду качать. Кэк. Поторопился я, жму на скачу а мне пишет Project does not exist. Хорошо что все таки решил для начала попробовать. Скиньте другую ссылку, а то когда захожу на этот летитбит ничего не скачивается. Не скачивет с зеркала, че делать?? ?